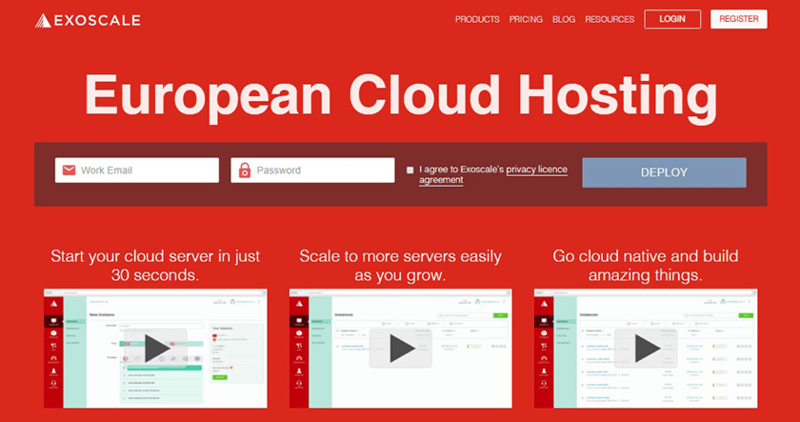 Exoscale Review 2019: Is Exoscale a Good Hosting? Established in 2011, Exoscale is a Switzerland-based cloud hosting solutions provider run by cloud enthusiasts and individuals with years of experience in the IT industry. 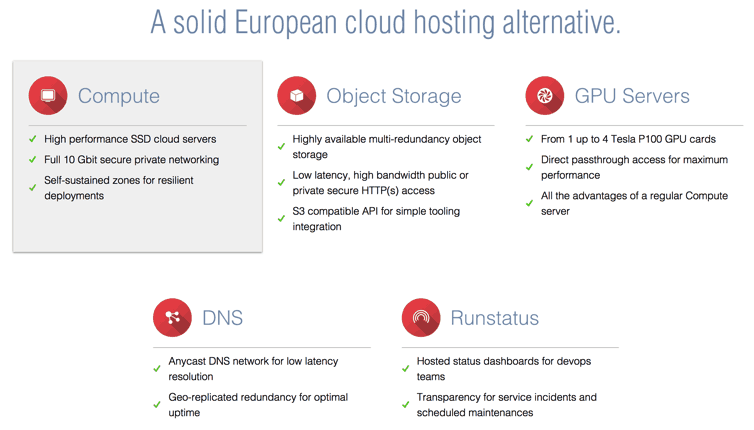 Since their inception, Exoscale has built a reputation as a trusted European platform for running mission critical workloads in the cloud. Exoscale is a website hosting vendor based in Switzerland. This vendor also has a significant presence in the U.S., Germany, India, and the U.K. Founded in 2011, Exoscale is run by cloud enthusiasts and individuals with many years of experience in IT operations. They’re focused on building powerful cloud platforms that users find enjoyable and easy to use. The vendor markets itself to European companies as a noteworthy alternative to the big cloud solutions providers based in America. A closer look at Exoscale indicates that this vendor has invested quite heavily in security and is committed to abiding by the strict Swiss privacy laws as a way to guarantee its customers that their data is safe. Furthermore, Exoscale has built powerful data centers in several locations across Europe, including Geneva, Zurich, Vienna, and Frankfurt. All of these data centers run with SSD-powered servers to provide scalable and high-performance cloud solutions to companies in European countries. By design, these solutions are easy to run and scale, allowing users to resize their clusters in a matter of seconds. Compared to other cloud hosting providers, Exoscale’s plans are reasonably priced. They’ve got what they call “no surprises pricing,” which essentially means that they’re transparent about everything you get upfront while also being clear about what kind of prices you’ll be expected to pay if you scale your plan up in future. As with most cloud hosting platforms, Exoscale’s solutions are easy to scale: you can start with small clusters and can easily grow to powerful big data nodes from the convenience of your admin panel. Exoscale has an hourly pricing scheme that is prorated per minute, creating one of the leading price-to-performance ratios in the industry. This ensures that Exoscale customers only pay for the resources they use. Though Exoscale has not been in business for as long as many of its competitors, it has nevertheless become a noteworthy force in the cloud solutions market across Europe. It is an ideal hosting vendor for businesses located in any country in Europe. Wondering how Exoscale stacks up against other Web Hosting companies? Enter any other Web Hosting company and we will give you a side-by-side comparison.